The recce days give you the opportunity to practice on the course and experience the terrain and navigation required. We split the 100 miles route into 4 sections to cover the full 100 course. The 50 mile event is the final 50 miles of the 100 course, so this means that your relevant sections are 3 & 4. You can register by clicking the relevant links below, but read the following information, which gives you a better understanding of how the weekend works. Each recce day costs £15. Q: Why are the sections done as 1/4/2/3 and not just 1/2/3/4? A: Anyone doing the 100 should be very comfortable running on the fells in the dark, this may not be the case for 50 competitors, especially if it’s your first ultra. The sections covered are therefore based upon daylight hours, length of section, level of ability required for 100/50 runners and the potential weather conditions at that time of year. Q: If I’m doing the 50 can I join the 100 runners for sections 1 & 2? A: Of course, we welcome everyone as these are great training runs and the 50 may well be a stepping stone to the 100, so a recce of sections 1 & 2 may be very useful. Things to note are that these sections are tough and may be done in darkness. Last year during the recce of section 1 (due to take place in October) runners were still finishing at 8pm in the evening, completing Blacksail Pass and Scarth Gap in darkness. For those of you not familiar with the Lake District, those climbs and descents are not for the inexperienced. Q: All recce days are ‘point to point’ so how do we get our cars back? On Sunday morning (Saturday afternoon for Jan recce) you need to drive to the end point for that day and you will be collected by coach and taken back to the start. For example, recce section 1 November 12th, Coniston to Buttermere. On Sunday morning you will drive and leave your car at Buttermere. You will be picked up by coach and driven to Coniston to start the run for that day, finishing back at your car. This might sound a little complicated… ‘you’re at the start, you then drive to the finish, we then bus you back to the start’ but it is the best format as explained below. Q: Why do we drive to the finish and not just bring you back by coach? A: Faster runners can often finish the recce days up to 6 hours quicker than the last runners. If the coach were waiting to bring you back, it would have to be in place for 6 hours to collect everyone before you can get back to your car! Alternatively, we’d have to have multiple buses running shuttles which would not be logistically possible. Driving to the finish means that we can collect everyone together, it also means that at the end of the day, you can get in your car and go straight home! Q: What if I’m coming on the train or don’t have a car? A: Please don’t presume that you can get a lift back to the start or to the station when you reach the end of the run, this isn’t the case. If you are traveling by train or don’t have a car, we suggest that you go onto the Facebook page and try to arrange with others beforehand. The organisers cannot ferry any runners back to the start or any other location. Q: What’s at the checkpoints? A: We will count you through and provide ‘basic’ refreshments such as water, biscuits and flapjack. You should carry your own food and drink if required. You will also be counted in at the finish. A: Full kit list as per website, food and drink, mobile phone charged, map and roadbook printed from website, GPS if you have the option – route downloaded from website. A: Whilst there may be a number of people running who are there to guide, presume that the answer to this is NO. Ultimately you need to navigate yourself and you need to bring all the items as above, which will help you navigate the course. Q: When does the sign up close? A: Sign up closes on the Wednesday prior to the recce weekend as we need to confirm coach size and requirements. Q: If I’ve signed up, when do I get final details regarding pick-up times, location of guest talk etc? A: We will email all those signed up on the Monday prior to the recce weekend, details will also be posted on this blog page in the week prior. 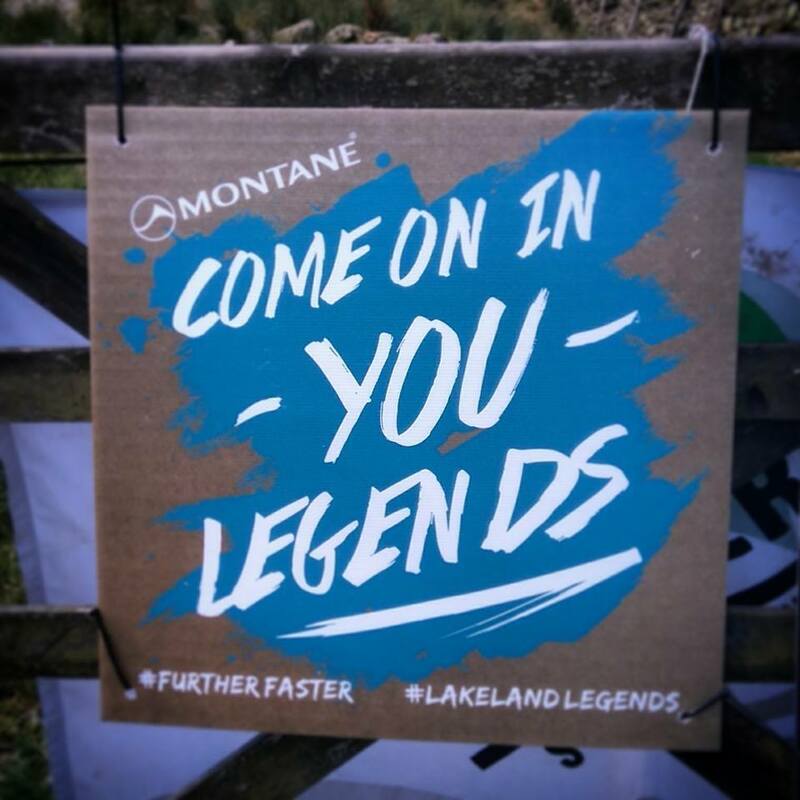 You can find the blog page by going to the Lakeland 100 homepage and clicking the blog link. A: Each day, including refreshments and coach transport is £15. Q: If I can’t make it can I transfer my money to the next recce day? A: You’ll need to tell us 1 week in advance otherwise this won’t be possible as transport, venues and refreshments have been booked and paid. If you tell us a week or more in advance.. no problem..